I had green lamingtons on st Patricks! Hi!! 1st, loved the outfit in this and the previous post!You look adorable. i also use that up hairdo very often! Wow, you guys look great and it looks like you had a fun time! Cute photos! 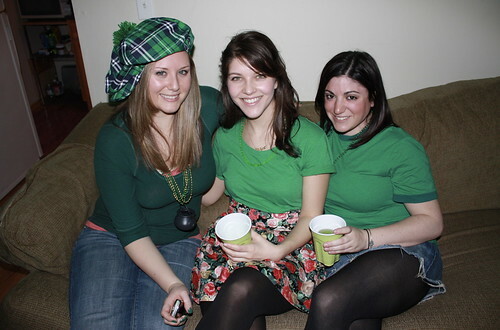 I wish I could have gone out for St. Patty's. Stuck inside for school! 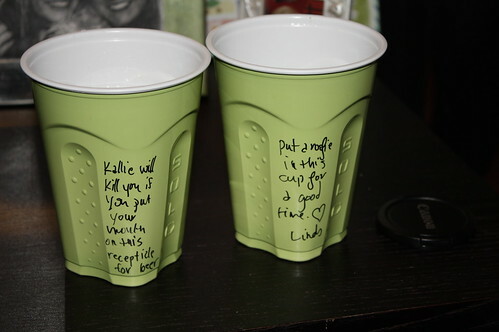 LOL the cups are cracking me up! I really need to stop reading your posts at work...they are too funny!